It is not altogether wrong to say that it is the early worm which gets caught! Quite a few managers have perfected the art of selective amnesia and acquired honorary membership of the Global Procrastinators’ Club. Procrastination works best when the idea is to delay a crucial decision which, if taken at that point in time, could create more problems than it would solve. Governments appear to do it all the time. The flip side is the higher probability of losing a business opportunity. A task which has been put on hold will remain undone till the time an external force is applied. When owners and founders of businesses hire CEOs, they hope for an attitude of quiet and respectful deference towards themselves, sans dissidence of any kind. Often, their attachment to the business surpasses all other considerations. Thus, fissures between the two power centers soon start popping up. If some of the actions of a CEO are leading to a compromise on the basic values of the business, like in the case of Tatas and Cyrus Mistry, or like in the case of Infosys and Vishal Sikka, it is understandable. But if the gaps have arisen due to the manner in which operations are getting handled, it just shows that the owner or founder is not willing to let go. In family owned businesses, the younger generation is often raring to go. Many a scion keep twiddling their thumbs trying to figure out as to when the elder owner would hang his corporate boots or sandals, so they could have a free hand to nudge the enterprise towards newer markets, adopting the latest technologies sprouting in the era of Industrial Revolution 4.0. But for most of the elderly owners, it is a tough challenge to give up controls. Like the proverbial man who keeps clinging to a tree but blames the tree for not allowing him to let go, they refuse to fade away gracefully into the sunset. During the period of transition, chaos and confusion reigns. Hapless employees continue to suffer silently, caught as they are between the divergent thought processes of the two generations. The war depicted in the epic Mahabharata, of which Bhagavad Gita is an integral part, came about only because King Dhritarashtra could not overcome his attachment to either the throne or his son, Duryodhana. The outcome was the death of all his hundred sons, loss of prestige and kingdom and, of course, social and economic misery of the multitudes who had earlier thrived during his reign. Attachment is an intoxicant which, when taken in excessive doses, leads to perilous outcomes. When consumed without a moderating dose of detachment, it could prove to be a disastrous tissue restorative, a concoction which is surely injurious to the efficiency and effectiveness of a manager. Attachment with a Lion King could leave a sheep ending up as its prey. If the Lion King himself feels attached to a wily Finance-Fox and ends up promoting him as a CEO, the organization may soon start running only on Standard Operating Procedures, neglecting customer service and employee relationships. A Production-Bovine who is attached to the technology in use on the shop floor would take a jaundiced view of a more efficient technology being planned to be introduced by the management. A Human-Resources-Canine may start hiring people only from his own ethnic background, resulting into lack of diversity in the organization. Separations with non-performing employees do not get handled well, impacting down-sizing initiatives of the management. A sprightly Operations-Reindeer might start believing that the whole organization would collapse if he were to proceed on leave. Often, attachment to a person leads to complications. Those who do not deserve a raise might even end up getting a promotion, impacting employee morale adversely. Those who are competent could get sidelined, increasing the chances of their seeking greener pastures. Ultimately, the organization suffers. Undue attachment to a senior could gradually transform one into a seasoned Yes-person. If ever the senior’s career graph takes a hit, the one hanging onto his coat tails would also suffer. Likewise, when one gets attached to an experience, whether positive or negative, one’s Guardian Angels go into a state of hibernation and disaster lurks around the corner. A promotion could go to one’s head, leading to aberrant behaviour, with negative results quick to follow. Spectacular success in a project could lead to complacency. On the flip side, a sharp public rebuke from someone senior could make one withdraw into an emotional shell, thereby impacting one’s performance. One could decide to play the victim card for some time and continue to seek solace from those who are in no way capable of helping. It does not bring about desired results. In other words, attachment often leads to resistance to change. One’s sense of objectivity gets compromised. A tendency to remain in one’s comfort zone rules the roost. Innovation takes a back seat. Procrastination kicks in. Delegation gets dumped. Distortions start popping up. Conflicts and dilemmas do not get resolved in an unbiased manner. Relationships with key stakeholders turn sour. Signals of an imminent shift in customer tastes and preferences start getting neglected. Market share starts shrinking. Advances in technology do not get absorbed in the organizational processes. Business takes a hit. Brand equity nosedives. Existence of a business itself may come under a cloud. Elsewhere, we have already touched upon the manner in which such market leaders as Kodak and Nokia have suffered in the past. Likewise, organizations which resist absorbing the newer technologies coming up in Industrial Revolution 4.0 could face a serious threat of either scaling down or getting completely wiped off in the times to come. All this is not to say that attachment is something which can be completely avoided. The concept of attachment is central to organizational life. Attachment is essentially an enduring emotional bond between people, events and belief systems. Experts have studied the nature, development, maintenance, and dissolution of this emotional bond through the lens of Attachment Theory, providing an insightful perspective in the understanding of human relationships. Dynamics of leadership is surely impacted by it. So is the concept of trust, mentoring and employer-employee relationships. Employees get motivated and become proactive when under the spell of attachment. It impacts ethical behaviour in a significant manner. If the Western models of Attachment touch upon its gravitational pull and inevitability, Lord Krishna presents an Eastern template of Detachment, which could be held to be a spaceship which enables one to foray into interstellar space and enjoy the captivating beauty of a fraction of the universe. Can a target be cracked unless the team working on it is truly attached to it? But the sense of attachment need not cloud the team’s judgement and even make it blind to other options which might result in the target being achieved more effectively and efficiently. Similarly, a leader has to give up his likes and dislikes for individual team members and handle all in an impartial manner, thereby highlighting the need to remain detached. What is desirable is a healthy combination of Attachment and Detachment. Some may allude to it as a Detached Attachment! Bhagavad Gita elaborates on the basic concept of detachment. It exhorts a CEO not to worry over and get herself preoccupied with the anxieties for the rewards of her actions, thereby avoiding a tendency to live in the future. Nor does it make sense for her to keep analyzing as to what transpired in the past and get overly worked up about it. The advice here is not to waste the present moment in inane memories and in concerns about the future. Rather, she can do her very best in the present moment, keep relevant stakeholders in the loop, and perform her duties, as dictated by a sense of virtuous righteousness. This way, she is released from all of her mental preoccupations. Work alone makes her live in the joy and ecstasy of inspired self-forgetfulness. The work itself becomes the reward. You have a right to perform your prescribed duties, but you are not entitled to the fruits of your actions. Never consider yourself to be the cause of the results of your activities, nor be attached to inaction. Cultivating a sense of detachment is easier said than done. CEOs need to make frequent inward journeys a habit. What helps is a practice to mentally walk away from a given situation and view it not as a participant but as a neutral witness or observer. As a neutral person, the CEO does not interfere with things. Nor does she expect or impose anything. She may still experience thoughts, but does not judge them or fight with them. There may still be chaos all around, but the witness is disinterested, and does not react to these inputs. To the witness, they are like the clouds that merely pass us by. Who is this witness? It is not the mind. The mind is incapable of witnessing. Lord Krishna says that one’s soul is the Witness. If the CEO assumes a witness-like stance – witnessing her own thoughts, likes, dislikes actions and intentions – she is in resonance with her inner self. This has the potential to bring about a harmony between her thoughts, her words and her actions, thereby making her an inwardly happier and an outwardly successful professional. Planning a career with an owner-driven outfit? Consider some of the Values followed by such businesses! Vision and Mission Statements of corporates adorn their walls and can be readily copied. However, the value system of an organization is not something which can be copied very easily. It permeates the entire organization – its hierarchy, its various divisions or departments. It rubs off on most of its employees. Even service providers and supporting manufacturers get tuned to the same frequency. Our youth are already reeling under the impact of latest technologies being unleashed on the unsuspecting work-force with gay abandon, leading to drastic changes in the skills required to survive and do well in the times to come. Were they to decide to join an owner-driven smaller business, it would be wise on their part to be aware of the nature of values that such outfits could be following. Those who get hired by such businesses are the ones who offer willing service and selfless cooperation, even to the extent of taking pay cuts when they are told that business is in the red. They need to be quiet, respectful and deferential by nature. They need to have an adventurous outlook on life and be always prepared to receive a pink slip at a very short notice. Employees are expected to be timid and behave like worms endowed with a backbone made of cottage cheese. Smarter ones who have backbones made of sterner stuff would be inclined to look for greener pastures within a few months of joining up. Those who somehow survive longer would soon find getting hauled out unceremoniously, much like worms found floating on top of a bowl of chicken soup meant for the Lion King. While entering the company campus, the employees find it worth their while to leave their ego at the main gate. A doormat-like behaviour alone ensures that they do not suffer the spiritual anguish like that of the person who, having grown accustomed to opening the crackling salary envelope on the first day of each month, reaches out for it one day and finds it empty. When asking for leave, they need to deploy tact and delicacy. Long vacations are obviously ruled out, simply because the stiff-upper-lip visage of the Lion King simply discourages such inane requests, work-life balance be damned. The proceedings are invariably of a nature as to create an inferiority complex amongst its employees. Whenever anything goes wrong, even if the decision had emanated from either the Lion King or a member of his family, they willingly take the rap and get frequently ticked off by the top brass. Over time, they start resembling one of the more shrinking and respectful breeds of rabbit. One of the values which some owner-driven companies find difficult to imbibe is that of respecting its people. Employees often get treated like chattel, getting hired and fired based on assessments made either in the bedroom or on the dining table of the owner’s abode. 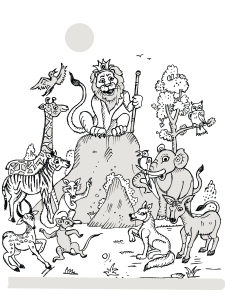 If the mood of the Lion King fluctuates in tandem with either the Dow Jones Index or the Sensex, the employees feel as if they are always on a roller coaster ride. An incoming employee is never permitted to meet the outgoing one, thereby ensuring that negative vibes do not get passed on from the latter to the former. Inevitably, this ensures that past experience continues to get lost. Continuity in systems and procedures becomes a victim. Each incumbent keeps trying to reinvent the wheel. When a meeting gets called, the Lion King alone presides. When he throws out a statement of opinion, a respectful silence prevails. He looks about him expectantly. This is the cue for the senior Yes-Sheep to say yes. He is followed, in order of precedence, by the middle-rung Yes-Sheep and then the junior Yes-Sheep. Then the turn of all the Nodder-Dormice comes. They simply nod, one after the other. When the Lion King delineates a new business plan, he merely informs. He directs the Marketing-Monkeys, the Production-Bovines and the Supply-Chain-Management-Goats to get down to their respective tasks without delay. The Human-Resources-Canines are told to take care of their part of the work, while the Finance-Felines are told to keep a sharp eye on the collections against invoices raised by the Marketing-Monkeys. The Research-Pachyderms are exhorted to keep coming up with innovative products and services. The System-Giraffes are advised to ensure that the high-hanging fruits of the latest advances in technology are made available to the team. The Liaison-Fox is tasked to see that all regulatory permissions are in place well within due time. Working in a smaller outfit has some unique perks as well. Besides being able to observe the core business processes at a close quarter, one is apt to face mighty challenges, thereby growing spiritually. One can pretty soon evolve into a Spiritual Manager who practices detachment and handles tough situations with alacrity and equanimity. Different organizations sport different cultures, presenting an interesting rainbow of values. The most prominent colour in such parabolas of joy happens to be black, denoting profits. The most disliked colour is obviously red, a prospect which leaves many a business owner and CEO cold in the feet and shuddering. Jacquelyn Small, the French psychologist, stated, “We are not small human beings trying to be spiritual, we are spiritual beings practicing to be human”. Proust: We don’t receive wisdom; we must discover it for ourselves after a journey that no one can take for us or spare us. Johann Goethe: Self-knowledge is best learned not by contemplation, but by action. Strive to do your duty and you will soon discover what stuff you are made of. Albert Einstein: The only source of knowledge is experience. Oliver Wendell Holmes, Jr: A mind that is stretched by a new experience can never go back to its old dimensions. When CEOs are left twiddling their thumbs, Bhagavad Gita could help! 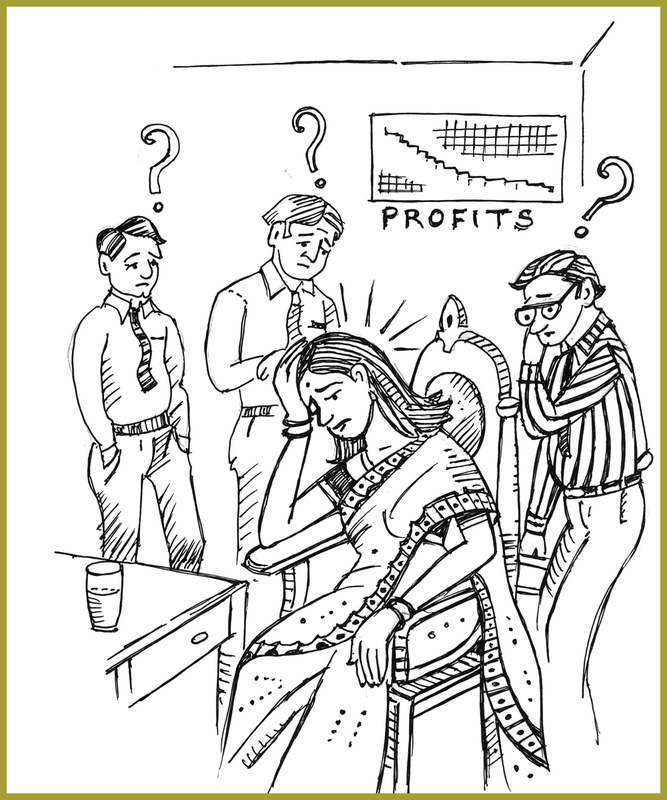 Many a times, CEOs and managers give in to a mood of despondency, much like Arjuna on the battle field of Mahabharata. It becomes a case wherein the person may approve of the broad general principle of a strategy to be followed or a target to be cracked, but cannot help but shudder inwardly at the prospect of putting it into effect. Outside the window of the incumbent’s corner office, the sun may be shining. The sky may be an azure blue. A gentle breeze may be swaying the trees. Birds may be chirping. But Nature fails to provide solace. The mind is boggled. The heart is laden with woe. Confusion and self-doubt reign. A defeatist attitude prevails. Decisions taken in a mental state of this nature merely add to the chaos. CEOs would formulate a business strategy and even go into detailed planning of the steps involved with their team members. But when implementation starts, there is always a chance that they might develop cold feet. Practical considerations which were latent earlier suddenly pop up. Some initial steps reveal a chink in the organization’s armour. Or, some fresh feedback comes in, changing their perception of reality. A new product launch could have been conceptualized and details worked out. Product attributes and design might have got frozen. R&D and Production might have burnt the proverbial night oil to come up with bulk samples which would have been successfully test marketed. Pricing might have been finalized. Packaging might have been given the go ahead. Members of the supply chain might have been brought on board. However, when the launch day dawns, they might wake up all of a twitter, trying to imagine the reaction of a mightier competitor, or discover an environmental challenge or a customer health issue the product may pose, when pushed aggressively in the market. Likewise, when a big manufacturing unit has to be shut down in the overall interest of the business, the unit head may develop feet of clay, twiddling her thumbs about the future of the career of so many capable persons who would have to be called in, looked into the eye, and handed over a pink slip. Persons with whom there has been a long working relationship. Professionals who have been groomed by the unit head herself. Those who have been key members of the next rung of the organization’s hierarchy. Employees who are elder in age and had assisted her in so many ways to settle down when she came into the organization and took over the reins of the unit. Those who have been loyal and had supported her through the slings and arrows of business faced by the unit. Yours truly once faced a similar situation. A premium unit of a very large export house had become a liability in more ways than one. Over time, quality had suffered. Productivity was abysmally poor. Industrial relations had deteriorated. Every month, the headquarters had to be approached with a begging bowl, so wages and statutory dues could be paid off. Repeated attempts to revive the fortunes of the unit had failed. The mists of doubt had engulfed the befuddled mind. Aided by a senior team member, a water tight case recommending immediate closure of the unit was prepared and presented to the management. A long phase of discussions, exchange of ideas and explanations ensued. Finally, clear thought and perseverance paid off. The painful decision to ramp down that part of the business was taken. Careful separation plans were worked out in advance. The pain of implementation followed. Some professionals had to suffer in the process. But in the overall interest of the organization, the task was carried out. The dilemma facing Arjuna on a battlefield some 3,500 years back was whether to go ahead with a war against his own cousins and senior family members. Here are only two of the several cases which arose due to in-family disputes and misunderstandings. When brothers Adolf and Rudolf Dassler founded a shoe company in their mother’s laundry room in the town of Herzogenaurach, Germany, in 1924, little did they imagine that their relations would turn sour during World War II. A split followed in 1948, leading to the emergence of two brands – Puma and Adidas. The two still have rival factories on opposite sides of a river. Rudolf died in 1974 at age 76, Adolf in 1977 at 78. Never did they reconcile. Both are reportedly buried at opposite ends of the same cemetery. Back in India, retired tycoon Vijaypat Singhania, entangled in a property dispute with his son Gautam Singhania, concluded thus: “Love your children and care for them, but don’t love them so much that you are blinded”. Having made Raymond a household name across India, the father had handed over his shares, worth over Rs. 1,000 crore, to his son who now controls the Rs. 6,000-crore group. At the core of the dispute between the father and son were their rights over JK House, a family owned 36-storey redeveloped property in the posh Malabar Hill area of south Mumbai. The father was forced by the son to move to a rented accommodation, causing him discomfort and mental anguish. If one considers the mental state of the businessmen who acted in the manner they did in a given situation, one’s mind invariably goes back to the kind of despondency and fatalism experienced by the great warrior Arjuna, upon surveying the armies facing each other. The army of Kauravas was not only numerically superior, but was also led by Bhishma, the grandsire. The futility of war which had cousins belonging to the same clan on either side left him twiddling his thumbs and wondering why to go ahead with the same, causing death and ruin all around. CEOs of today face not only challenges of an economic nature, but also emotional upheavals caused by ethical and moral dilemmas involved in decision making. 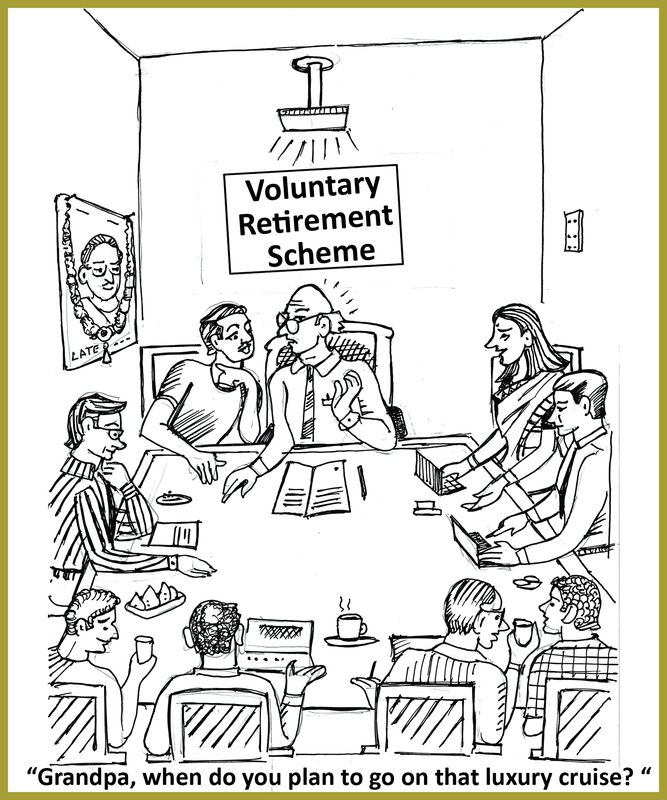 Regulators and NGOs keep snapping at their heels, while they are busy in a relentless pursuit of materialistic goals. There are indeed times when self-doubt plagues them. They feel as if they have reached the level of incompetence and can neither face a business battle, nor dare to tinker with the targets of economic expansion and business lust which normally pervade any business enterprise. CEOs in the corporate world routinely face dilemmas which arise out of the dual nature of things. Almost all business situations are based on dualities. 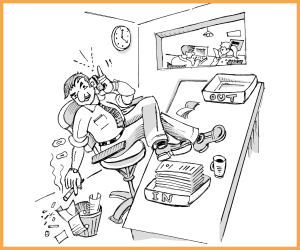 Often, these lead to the CEOs suffering from an Analysis Paralysis Syndrome. Peter Drucker, the renowned management expert, frequently touched upon the dualities of freedom and power, authority and responsibility, progress and conservation, good and evil, worldly actions and spiritual fulfillment. He believed in the sanctity of spiritual creation. He considered traditional Christian values to be a type of practical wisdom and an ethical basis for responsible corporate leadership. But Arjuna is smart. He is not only a proficient warrior prince, but also someone who has had the sterling sense of befriending a great friend, philosopher and guide in Lord Krishna. 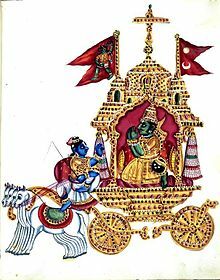 Gita is all about how Krishna pulls Arjuna out of this sense of despondency and motivates him to do his duty without attachment to the result thereof. Krishna has extraordinary skills in transforming the thinking of his disciple’s mind, gently steering it towards the task at hand. It is a human tendency to magnify one’s weaknesses and provide some extraneous reasons for justifying one’s state of inaction. Also, when one realizes the kind of sacrifices one has to make to achieve the goal one has set for oneself, doubts arise about the worth of the goal itself. My whole body shudders; my hair is standing on end. My bow, the Gandiv, is slipping from my hand, and my skin is burning all over. My mind is in quandary and whirling in confusion; I am unable to hold myself steady any longer. O Krishna, killer of the Keshi demon, I only see omens of misfortune. I do not foresee how any good can come from killing my own kinsmen in this battle. O Krishna, I do not desire the victory, kingdom, or the happiness accruing it. Of what avail will be a kingdom, pleasures, or even life itself, when the very persons for whom we covet them, are standing before us for battle? They for whose sake we desire kingdom, enjoyment and pleasures stand here in battle, having renounced life and wealth. When mighty challenges in one’s career menacingly stare at one, much like a lioness surprised when running into a hunter in the forest, one is apt to see no ray of light in one’s life. One feels as if one’s Guardian Angels have gone off on a long vacation, that too without seeking any prior consent, let alone permission. At such times, when the fighting option has simply evaporated, Bhagawad Gita gives one a chance to introspect and make an objective assessment of the situation at hand. In the midst of an overwhelming situation, reason returns to its throne. Trees and bushes nearby, which are just a step away and offer a possibility of the flight option getting exercised, get evaluated. The time it would take to load the rifle and shoot the lioness gets assessed. One even weighs the option of smiling and looking into the eyes of the animal, thereby hoping to settle down in a spirit of peaceful coexistence. One thinks of nibbling at some juicy lamb sandwiches after having first shared some with the cub lurking around nearby. Sure enough, a gesture of this kind is apt to make the lioness take a less jaundiced view of the proceedings, enabling the hunter to emerge unscathed from the encounter. When one has sunk to the bottom of an emotional pit, and the horizon looks bereft of any hope, one can safely find solace, inspiration and guidance in the Bhagavad Gita. It speaks in detail about such concepts as detachment, equanimity and the need to uphold righteousness under all circumstances. It describes in detail the kind of practical steps one can take to handle the harsh slings and arrows of one’s life and career. Samuel Johnson: There lurks, perhaps, in every human heart a desire of distinction, which inclines every man, first to hope, and then to believe, that Nature has given him something peculiar to himself. 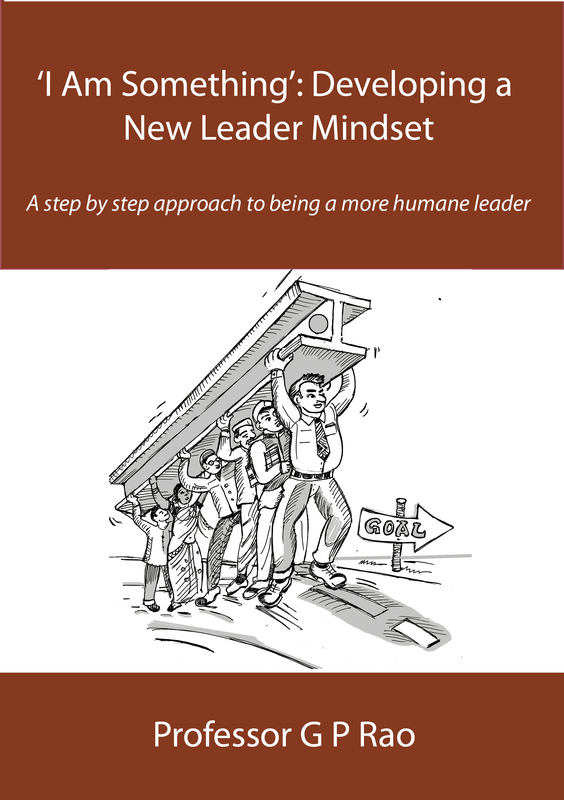 ‘I Am Something’ mindset believes that I am neither above you, nor below you. I am neither in front of you, nor behind you. I am neither away from you, nor near to you. I am along with you. I am however different and distinct. So are you. Mukesh Ambani, Indian industrialist: In the journey of an entrepreneur, the most important thing is self belief and the ability to convert that belief into reality. Maxwell Maltz: Low esteem is like driving through life with your hand brake on. The significance of being insignificant. Ravi Thilagan, Management Educator: ‘I Am Something’ is assertion. ‘I Am Everything’ is aggression and ‘I Am Nothing’ leads to submission. ‘I Am Something’ perhaps leads to courage and humility in right proportion? Dr S Radhakrishnan, former President of India: Man is the cause of the problem, as also its solution. Sri Aurobindo, the great thinker: Mastery means the knowledge of handling certain vibrations; if you know how to handle these vibrations you have the mastery. Jean-Paul Sartre: Everything has been figured, except how to live. Confucius: It’s better to light a small candle than to curse the darkness in our lives. Ekanath Easwaran: M K Gandhi’s faith in the power of the individual formed the foundation for his extremely compassionate view of the industrial era’s large scale problems as well as of the smaller but no less urgent troubles we find in our lives. One person can make a difference. Atal Bihari Vajpayee, former Prime Minister of India: What matters is this/That there must be expanse with height /So that a man /Is not fixed and dead as a stump /But blends in and belongs with others. Dr Ananda Reddy, Director, Sri Aurobindo Centre for Advanced Research, Pondicherry, India: The mindset of ‘I Am Something’ presents a judicial combination of management and philosophy. Marcel Proust (French Novelist, 1871- 1922): Love is space and time measured by the heart.